The growing number of short sales is not just limited to lower-end homes - there is anecdotal evidence of a trend in luxury homes participating in short sales. Government programs that streamline short sales may be contributing increased activity. See the following post from The Mess That Greenspan Made. This report in the Arizon a Republic is typical of a raft of recent stories about how mortgage distress is working its way up the socioeconomic ladder as a wave of high end distressed property begins to hit the market. While sellers at the housing market’s low end initiated the widespread use of short sales as an alternative to foreclosure, Valley real-estate agents said there has been a clear trend toward luxury homes, even those in the multimillion-dollar price range, being sold via short sale. 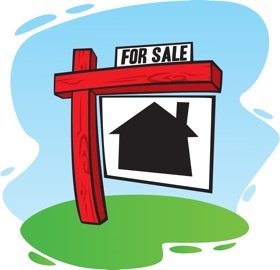 In a short sale, the sellers negotiate a sale price with their lender that is less than the balance of their mortgage. The remaining portion of the loan is forgiven, although in some cases lenders reserve the right to sue the seller for the unpaid portion of the loan. Joyce Tawes, an agent with Arizona Realty ONE Group in Scottsdale, currently has nearly 100 short-sale listings for homes priced from $700,000 to more than $3 million. Rosalie Soward, a Valley Realtor also licensed in California who specializes in short sales, said they compose about 80 percent of her current business. Apparently,the government program aimed at streamlining the short-sale process is having the desired effect of getting this inventory moving faster than it would otherwise. What’s really fascinating to watch for both bank-owned properties and short sales are the price reductions. It seems that, once a house gets listed, sellers of these properties aren’t shy about slashing their asking price, in many cases dropping more than 10 percent at a time until it goes low enough to attract a buyer.